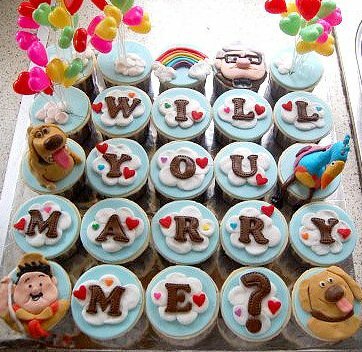 Marriage proposal cupcakes inspired by Pixar's Up are a sweet way to pop the question. The cupcakes were designed by Eunice from Dolce, a baking blog. Her attention to detail has made each character come alive, as if it stepped right out of the movie. The heart shaped balloons were an adorable finishing touch. According to the blog, she said yes. 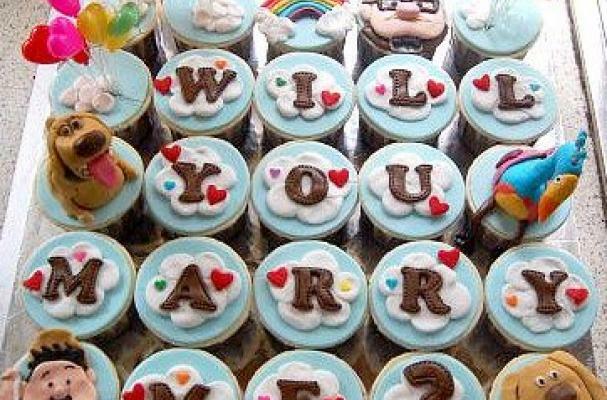 If you are thinking of proposing to your significant other, cupcakes might be a good way to go.